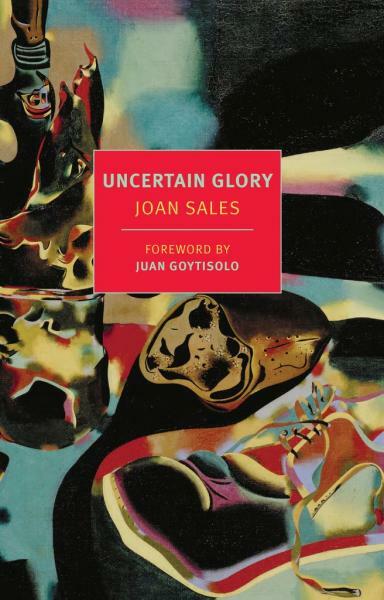 Joan Sales’s Incerta glòria is a novel about precariousness. Its account of the Spanish Civil War, refracted in the experience of various characters living in Barcelona and on the Aragonese front in 1937 and 1938, draws its power and beauty from fragility that is both thematic and structural. With his new English translation of this Catalan classic, Peter Bush offers Anglophone readers an opportunity not only to observe the complexity of the Spanish Civil War, but also to witness what a tenuous task it is to attempt to make sense of this conflict. The story that Sales’ novel tells deals with the passing of youth, the vulnerability of love, and the insecurity of life in the midst of war. Its three main characters, Lluís Ruscadella, Trini Milmany, and Juli Soleràs, are friends from their university days in Barcelona, now dispersed by the war. Lluís and Juli reunite on the front while Trini cares for her and Lluís’ son in Barcelona. We learn of their lives through Lluís’ letters to his brother Ramon, through Trini’s letters to Juli, and finally through the memoirs of a seminarian stationed with Lluís, Cruells. Sales took his title from Shakespeare’s Two Gentlemen of Verona: “The uncertain glory of an April day, / Which now shows all the beauty of the sun, / and by and by a cloud takes all away!” Like fickle weather, changes of circumstance in the novel reveal the frailty and impermanence of human ideals and desires. So do changes of perspective. The juxtaposition of the three narrating voices makes the plot of Incerta glòria itself frail and its lessons uncertain. No one narrator may claim definitive knowledge of what transpires in the novel. Sales deftly exposes the fragility of knowledge itself during the war, and especially in a largely pro-Republican Catalonia plagued by infighting among various sectors of the resistance. The same confusion George Orwell attests to in Homage to Catalonia is relayed in Sales’ novel, but without the unifying factor of a single narrating voice. In light of this fragile complexity, Peter Bush’s greatest accomplishment in translating Incerta glòria is the way he preserves the novel’s various forms of precariousness for the English-speaking reader. Bush skillfully renders the distinct voice of each narrator, and of other characters like the colorful Soleràs. He creatively uses various tactics in order to render in English the highly varied linguistic reality of northeastern Spain, where a word uttered in Catalan rather than Castilian, or vice versa, can carry an added cultural or political charge. He maintains variants in proper names (Castilian speakers in the novel refers to Lluís as “Luis” or “Luisico”), and develops what he calls a “non-standard as well as non-specific” variety of English to convey the speech of rural Aragonese villagers. This is perhaps where the translation is at its most uncertain. In its unlocalizability, this dialect inevitably strikes the reader as strange. One tries to locate it. (I found myself imagining a Cockney accent, wildly out of place, to be sure.) Yet if Bush’s manufactured vernacular cannot reproduce the geographical specificity of the language spoken in a particular village in Aragon, it becomes a perfect illustration of the deracination involved in translation, and longing for re-racination that it can evoke. For translation’s glory is an uncertain glory. It can flare out suddenly, fleetingly, like a ray through a break in the clouds, but it is often subtle and vulnerable. Walter Benjamin wrote of a translation as shining the light of a “pure language” onto the original work, but he knew his appeal to this transcendent linguistic ideal was a tenuous one. The Spanish philosopher and contemporary of Benjamin, José Ortega y Gasset, was more reserved in his view. 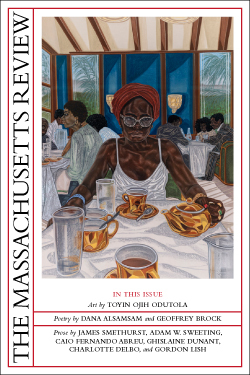 In his essay “Miseria y esplendor de la traducción,” written during the Spanish Civil War, Ortega insists that translation is a utopian endeavor, and that believing in its possibility is often the translator’s downfall. When Ortega penned his essay, from exile in France, the desire for communication and understanding among Spaniards certainly seemed utopian at best. Sales’ novel and Bush’s translation remind us that this elusive communication would have had to cross linguistic boundaries as well as physical and ideological ones. With a pointed reference to the notion of Spain Anglophone readers have developed via Hemingway (an amalgam of For Whom the Bell Tolls and The Sun Also Rises), Sales sets a high bar for his translators. Peter Bush has risen to the task with his version of the original Catalan text, which allows us to reflect anew on the miseries of the Spanish Civil War and precarious, transient splendors that issued from and in spite of it. LESLIE J. HARKEMA is an assistant professor of Spanish and Director of Undergraduate Studies for Spanish at Yale University. Her first book, Spanish Modernism and the Poetics of Youth: From Miguel de Unamuno to La Joven Literatura, is forthcoming from University of Toronto Press. She is currently working on a second book-length project, tentatively titled Faithful Betrayals: Translation and the Critique of Literary Culture in Modern Spanish Writing, which undertakes to examine Spain’s relationships to its European neighbors in the 19th and 20thcenturies through the lens of Spanish writers’ attitudes toward and practices in literary translation.